Uber and Waymo head to court on Monday in San Francisco. Waymo, a self-driving car company owned by Google's parent company, is suing Uber for allegedly stealing trade secrets and self-driving car technology. The case has captivated observers and is considered to be the most consequential among a number of legal battles Uber is fighting. Both companies are major players in the nascent self-driving car market, and the outcome of the case could determine a competitive industry advantage. Waymo alleges that its former engineer Anthony Levandowski stole thousands of confidential documents containing trade secrets before leaving Google (GOOG). Levandowski founded a self-driving truck company called Otto in January 2016. Uber then bought Otto for $680 million in August 2016. Waymo believes Uber executives, including then-CEO Travis Kalanick, knew about the stolen data. It claims the company used Waymo's laser and radar technology called LiDAR to further its own self-driving efforts. The trial was delayed twice, most recently in November after a bombshell 37-page letter emerged. It claimed a team within Uber surreptitiously collected information about competitors and used technology such as disappearing messaging apps and secret computers to communicate without leaving a trail. That letter, known as the Jacobs Letter, was written by an attorney for former global threat operations employee Richard Jacobs. The U.S. Attorney's Office for the Northern District of California obtained the letter through an unrelated investigation and gave it to the presiding judge. It became public in December. The letter was sent by Jacobs' lawyers after he left the company. Jacobs claimed he was documenting abuses to become a whistleblower, but Uber's deputy general counsel Angela Padilla called the latter "extortionist." Uber eventually paid Jacobs a $4.5 million settlement. The investigation into potential trade secret theft began in late 2016 when Waymo accidentally received an email from a self-driving technology supplier containing an attachment detailing Uber's LiDAR circuit board. Waymo claimed it looked suspiciously like its own design. Technology called LiDAR is central to self-driving car development. LiDAR stands for "Light Detection and Ranging." It uses pulsating laser beams to measure the distance between objects and can be used to make three-dimensional representations of objects. In self-driving cars, it is used to identify people, bicyclists, driving lanes, and other objects an automated vehicle would need to "see" in its path. Uber denies using proprietary Waymo technology, and said it has only used its own LiDAR tech in developing self-driving cars. 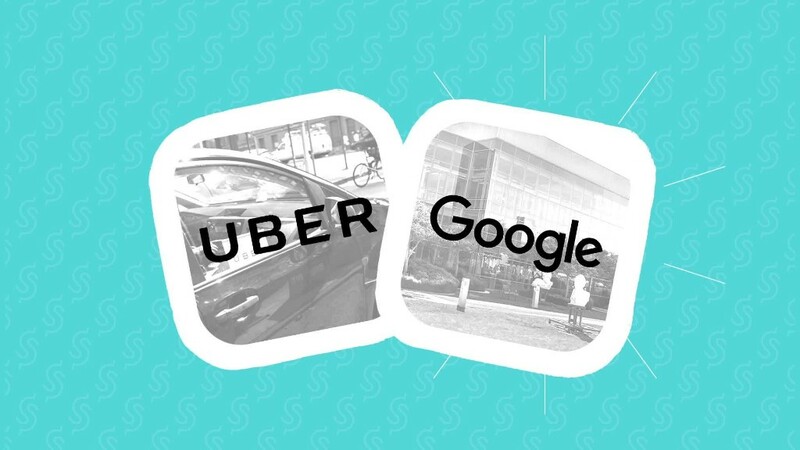 "We have accumulated significant and compelling evidence of Uber's theft and use of Waymo's trade secrets, and we look forward to finally presenting our case to the public," a spokeswoman for Waymo told CNNTech. Jacobs is on the potential witness list released this week, and if he testifies, some of the content of his letter will be fair game to Waymo attorneys, including Uber's use of ephemeral messaging apps and undisclosed devices. However, the full letter itself is not admissible as evidence on its own. Levandowski is also on the prospective witness list. He was ordered to turn over documents and other information related to the case in March, but he exercised his Fifth Amendment right to avoid self-incrimination. He was fired from Uber in May 2017 after failing to cooperate with the company. There are 99 potential witnesses listed in total, but it's likely many of them won't testify. On Thursday, both parties released lists of their first handful of witnesses. Kalanick is on both. Waymo alleges the former Uber CEO and other executives knew Levandowski had Google data before Otto's acquisition. Waymo CEO John Krafcik and vice president of engineering Dmitri Dolgov are on Waymo's list. Uber's witnesses include Eric Friedberg, president of Stroz Friedberg, who the company hired to do due diligence on Otto before it was acquired, and Waymo engineer Sasha Zbrozek. Jurors were selected on Wednesday. Alsup, who reportedly taught himself how to code, has been critical of Uber's tactics in court so far. "You're just making the impression that this is a total cover-up," Alsup told Uber's lawyers after the Jacobs Letter surfaced. CNN Tech reporter Heather Kelly contributed to this report.